Continental School District Education Foundation (CSDEF) is a 501(c) 3 nonprofit organization with the mission of enriching the educational opportunities in the Continental School District. 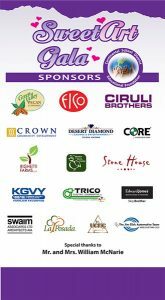 NutHouse Graphics worked with CSDEF to produce a vinyl banner for the annual SweetArt Gala. 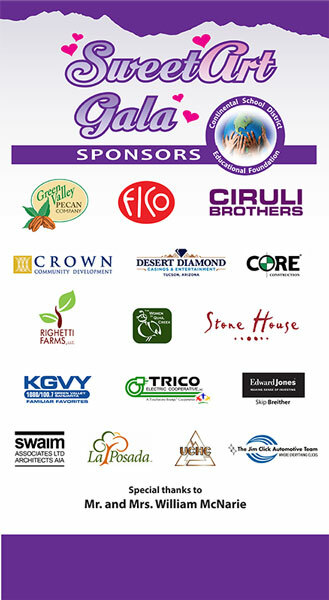 A 47″×80″ banner was designed and printed to include the SweetArt Gala sponsors logos and local mountain range graphics. With CSDEF’s approval we also adjusted the graphics and text used on their letter head to make a circular logo. The banner was fitted for a portable stand and can be updated for future events.